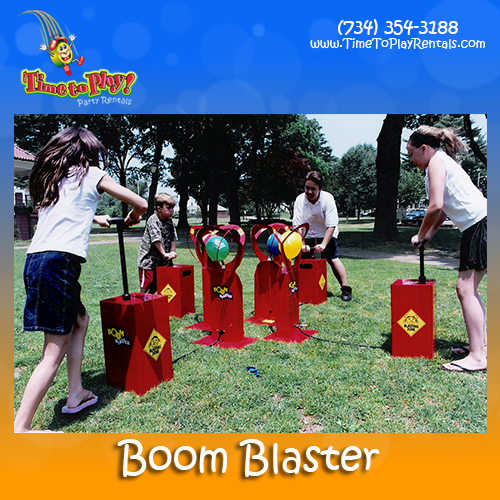 Boom Blaster™ adds an exciting new "bang" to parties, carnivals, and special events for kids of all ages! Place a balloon on the tube at the base of the Boom Tower. Pump the Detonator, filling the balloon with air. As the pressure rises and the balloon expands, it presses into popping points on the inside of the tower's two arcs, and -- BOOM! -- there's a winner. Place two, three, or four games side by side and you've got a Boom Blaster Challenge - first to burst wins! Your rental includes 72 balloons.